Undelete 2.0 protects data on Windows 2000 systems. Why would you want a file undelete utility when all of Windows' current versions already include the Recycle Bin? Because Executive Software's Undelete 2.0 does a better job than the Recycle Bin, and has a more flexible interface. Monitoring for file deletion from the command prompt, File Manager, and other programs that the Recycle Bin sometimes misses. Restoration of files even after the Undelete Recovery Bin has been emptied. Over-the-network recovery of files on other computers (server version only). 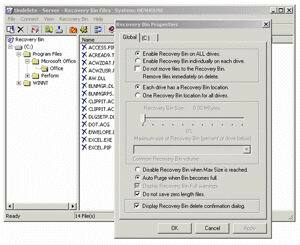 Emergency recovery by running Undelete directly from CD-ROM. Undelete installs quickly using Windows Install technology, and replaces Win2K's Recycle Bin with its own Recovery Bin. You can open the Recovery Bin for a graphical look at deleted files, or use command-line utilities to work with contents. 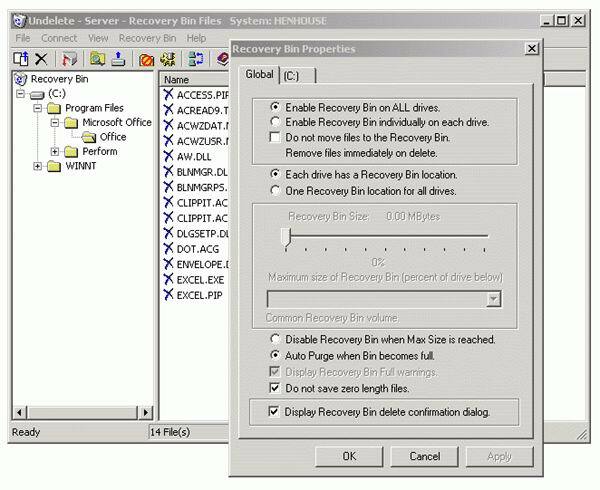 Recovering a deleted file is as simple as right-clicking on it and choosing Recover. You can choose to put the file back where it came from, or move it to another location for further inspection. Undelete also supports a search of the entire Recovery Bin for a particular file--useful when you remember a name or partial name but don't remember where the file was located. And, file recovery is fast and foolproof. To download a trial version of Undelete 2.0 or order an online copy, visit Executive Software's Web site.